Back Jack chairs are popular, sturdy, economical portable meditation chairs for floor sitting. Made in the USA, Back Jacks feature a soft 10-oz cotton duck fabric or a newer “tuff-duck” polyester fabric, over a rigid, lightweight, steel rustproof frame. Back Jack seat cushions are heavily padded for comfort. We carry the full line of Back Jack Chairs for floor sitting including Back Jack Chairs, Covers, Cushions, and Fabrics in all the sizes and colors. We supply throughout the USA. Carry your Folding Back Jack Chair in our new 100% Organic Cotton Tote Bag! This sturdy Tote Bag is designed to hold up to 2 Folding BackJacks and comes in a heavyweight natural color with navy blue trim. For a limited time, buy 2 Folding Back Jack chairs with a Tote Bag and get a $15 REBATE! Click on “View all Back Jack Chairs” below for more info. Meditation Benches & Zabutons are useful for those who sit in the seiza position (as shown to the right) and they provide a comfortable way to sit for meditation with a straight spine. All of our beautiful benches (including our collapsible meditation benches) are handmade in the USA from the finest quality hardwoods—Birch and Western Alder. They come with foam-batting meditation yoga cushions in beautiful Cotton or raw Silk fabrics—all in a wide variety of colors, including the NEW Natural color. Choose from Folding and Standing meditation benches – with no extra charge for leg height and style options. Our high quality Zabuton meditation bench cushions are hand-made and come with wool filling. The Pi Meditation Bench is a unique, elegant, and simple seiza kneeling bench that offers greater comfort for seiza meditation. The design is so special, you’ll wonder why nobody thought of it before now. It allows you to kneel with your feet comfortably positioned under the bench and outside of the bench legs. This allows you to easily position your legs under the bench and to kneel comfortably in the seiza position for extended periods. FREE US Continental Ground shipping (48 states) on orders over $125! This unique and popular line of compact back posture support devices let you sit comfortably for hours with effortless good posture. When you sit forward, the back support follows. Since the Nada Chair follows your body with every move, you constantly enjoy firm, adjustable and dynamic support hugging your lower back. “The Nada Chair acts like an extra muscle that never tires,” explains Arthur White, MD. By using the knees to stabilize the pelvis, muscles are relieved of their isometric tasks. The pelvis becomes a stable pedestal on which the spine can effortlessly rest with natural curves restored. The revolutionary Nada-Chair is patented and recommended by doctors. Here we share mindfulness articles with you about your body-mind, with tools to bring you into balance and to enjoy a healthier life. In addition to articles written by our staff , we have a number of articles from contributors. All of the articles shown below are yours to read, forward, and republish in any form—but only in their entirety and unedited, including any credit information. If you’d like to submit an article for consideration for publication, please send us an email. Would you like to effortlessly stimulate your mind to gain an advantage in achieving your goals? Our collection of subliminal messages has the potential to transform your life. Subliminal messages can directly affect your unconscious mind and allow you to transform your thoughts, habits, and behavior. Activate your DNA with online meditation music – a multidimensional music and sound experience. Activating your DNA is about awakening dormant potentials and tapping into the multidimensional aspects of your human self that have been asleep, waiting for the right codes to unlock the doors. It is about fully becoming a spiritual being of Light, embodying a human form. There are many techniques and schools of thought on how to activate the DNA – from words, visualizations and affirmations, to formulas and constructs. Whatever approach or technique you choose to follow, a most effective way takes advantage of your resolve, which translates into intent in your day-to-day encounters with the world around you. Our path is to unlock and activate the codex within your DNA through sound and vibration, with what we call “soundscapes”. From the deepest space within, waveforms of a higher implicate order resonate the codes within the DNA, unfolding the magic and wonder of all that you truly are. This CD set of music on DNA is a powerful channeling with the intent to activate the codex within your DNA, the bridge between the multiple dimensions of matter and the Divine. Travel on cyber-shamanic journeys into the many-faceted realms of Light and Awareness. Each CD in the 4-CD DNA.Level One series is a near 50-minute journey shapeshifting through the infinite probable realities of your being – awakening and activating your unfolding potential. Channeled with conscious intent, these soundscapes are profoundly powerful tools to prepare you for the next wave in evolution now manifesting on the planet. You may also want to check out our Mind Expansion series of extraordinary audio programs that trigger peak performance mental states—including a free online guided meditation. Mind Expansion is a series of extraordinary audio programs that trigger peak performance mental states—including a free online guided meditation. You may also want to check out our Evolutionary Music series – a multidimensional music and sound experience to unlock and activate the codex within your DNA. PassItOnword was created to show how one kind act can lead to hundreds of others. 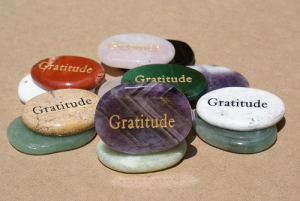 Using beautiful semi-precious stones as the vehicle for giving, people communicate their appreciation and kindness to the next person. Why do people frequently have headaches and feel unwell after using a cell phone or sitting at the computer? All electrical devices and appliances produce unhealthy electromagnetic fields (EMF) which we can’t see or feel directly. EMF interferes with the body’s own electromagnetic system—causing stress. Headaches are an indication that the body is under stress. People often don’t realize that stress can be due to EMF. Mobile phones can be particularly unhealthy because they are carried in close contact with the body—and even closer to the brain and eyes while speaking. Recent research now shows that cell phones are particularly damaging to human health. Long term exposure to cell phones and working hours a day at the computer probably represents a major danger. We can’t practically shield ourselves from these fields and radiations because they are everywhere around us. We at BodyMindWisdom.com have adopted an approach of counteracting these damaging radiations by strengthening beneficial energy within us and our near environment. Our line of EMF Harmonizer products, which contain imploded water, reduce the effects of this interference, meaning they reduce electromagnetic stress—while also serving as beautiful centerpieces and striking jewelry. If you have myopia (nearsightedness), hyperopia (long-sightedness), presbyopia, astigmatism, computer vision syndrome, or cataracts—then you could benefit from Myopia Pin Hole Glasses. Many people who’ve used pin hole glasses—for even a short time—comment on how more relaxed their eyes feel and how they can see more clearly. At the same time, pinhole glasses aren’t for everyone. 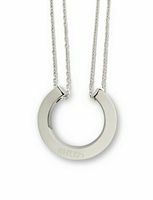 Shuzi is an attractive and subtle EMF jewelry pendant and bracelet collection for men and women. Shuzi creates a stronger frequency for your biofield, enabling your body to resist the effects of any stress, including EMF (Electro Magnetic Frequencies) from cell phones, computers, and other electrical/electronic devices. Electromagnetic fields can stress the body in several ways, such as affecting your heart rate, disrupting your brain activity during sleep and even reducing your body’s production of melatonin, thereby diminishing your resistance to diseases such as cancers. Independent research proves Shuzi’s effectiveness!